As you can see, content marketing isn’t just another marketing fad. The problem is that most content marketers don’t understand how to deliver the right content, at the right time, to the right people. In order to do make the most out of content marketing, marketers need a well-defined buyer’s journey. A buyer’s journey can help content marketers understand the buyer’s needs as this target demographic becomes more familiar with their company, and more prepared to buy from them. In this article, I will show you what a buyer’s journey is and how you can use it together with your content strategy to increase the effectiveness of your content marketing efforts. A buyer’s journey is the process that a user goes through from being unaware of a problem to becoming a customer of a company that solves that problem. This is usually depicted as a funnel-shaped process which can be broken down into three steps, from lowest purchase intent to highest. In the image below, it’s further expanded into five stages, with the first (Awareness), third (Evaluation) and fifth (Sale) corresponding to the three in the image above. Also known as “TOFU” (yes, like the food), this step is where everything starts. At this stage, the buyer is most likely unaware he has a problem, and therefore, that he needs a solution. In some cases, he may be looking for an answer to a problem, but he’s definitely not interested in a solution yet. Either way, the goal of this step is to connect with the buyer, making sure he knows he has a pain point, and that there is a solution for it. Since the buyer isn’t ready to purchase from you, the content shouldn’t be commercial or sales-focused. Instead, you want to offer something of value first, so when they become aware of their problem, they are ready to learn more about your solution. The goal of this step is to take a problem-aware buyer and educate him about the solution he is looking for. Here, the buyer is researching the problem and gathering information on the different solutions he can use, so your focus should be on making sure he understands not only what he needs to do to solve his problems, but how your company fits this solution. Even though the buyer is still not ready to purchase from you, he is seriously considering it, and you should act accordingly. The goal of your content in this step is to educate the buyer, help him understand your solutions (without being pushy) so he can compare it with the competition, and justify your solution so he can get the approval of his managers if it’s a work issue or the approval of his wallet if it’s a personal problem. The goal of this step is to take a solution-aware buyer and transform him into a customer of your company. To be clear, in this step the buyer hasn’t already decided to buy from you; rather, he is considering whether he should choose you or one of your competitors. That’s why it’s so important to give the buyer all the information he needs to make an informed choice (i.e. you brand! ), whether it is giving him implementation specs, a free trial, a product demo, etc. The research isn’t over yet, as the buyer is still searching for what it takes to implement your solution, how your solution works, how it’s better than the competition, and how much it costs. Also, it’s important to make the buyer as happy with the process as possible, so he can become an evangelist for your brand. 74% of people say that word-of-mouth is a key influencer when it comes to making a purchase. Now that you know what a buyer’s journey is, you need to know how to map your content with each of the stages of the buyer’s journey for the most effective outcomes. This shouldn’t be taken lightly, as delivering the wrong message at the wrong moment can frustrate your buyers and drive them away from your company. In order to deliver the right content at the right time, I’ll show you how to map each of the main types of content to each step in the buyer’s journey. Blog posts are the most common type of TOFU content. Just take a look around this blog: you won’t see a “Why Single Grain Is the Best Agency for Your SEO Needs” or a case study (those are on other pages, but not on the page that’s all about delivering value for our site visitors). This way, Single Grain is able to attract tens of thousands of visitors per month who are aware of their problems, and aware that Single Grain can help them, so they know who to turn to when they’re ready to take action. So in this step, your goal isn’t to convince your customers what you can do for them. 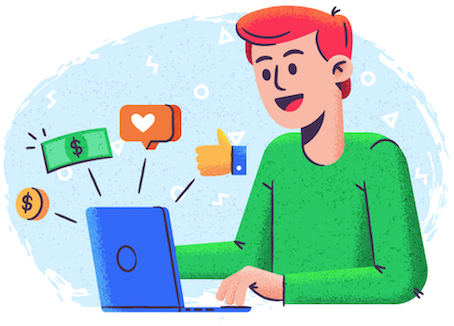 The goal of the blog posts your publish is simply to attract potential buyers, give something of value to them for free, and allow them connect with your brand through social media or email marketing. Expert content is another name for the long and highly detailed content that many companies use to educate on a specific topic. The goal of expert content (which some people call “pillar content“), is to show that you or your brand is an authority in your industry or niche. As with any type of TOFU content, the goal of the expert content is to teach the reader something that you are very knowledgable about, not sell a solution. 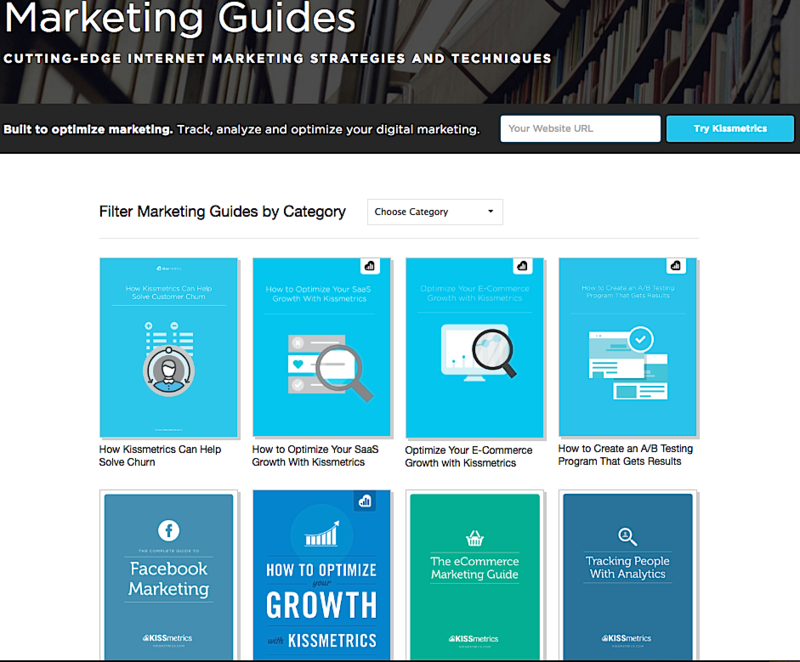 Neil Patel has done an amazing job in his blog Kissmetrics by creating a resource page filled with marketing guides that cover topics like social media marketing, e-mail marketing, reducing churn. 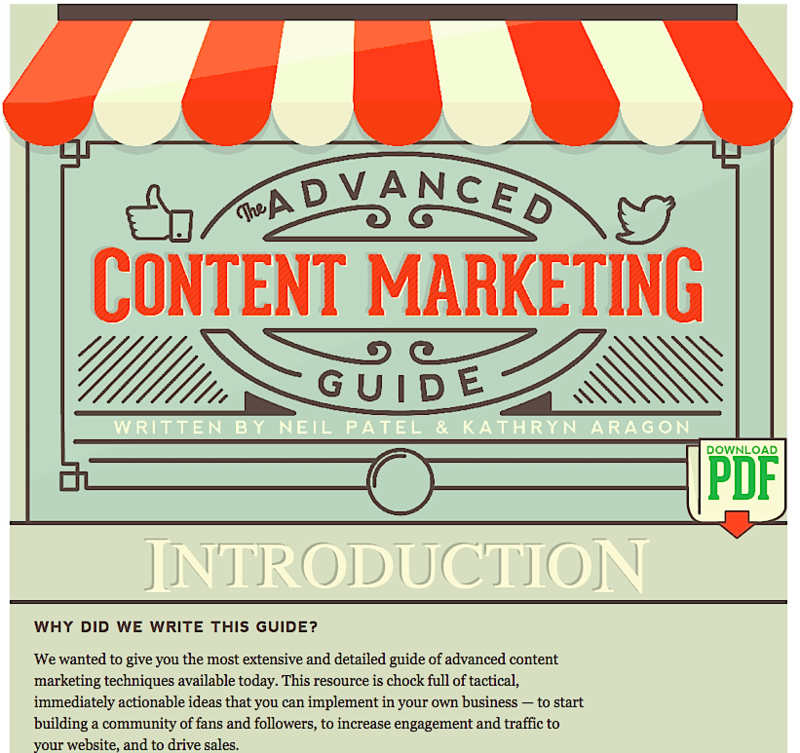 And Quicksprout has an epic “Advanced Content Marketing Guide,” with info on SEO, content marketing, and copywriting. 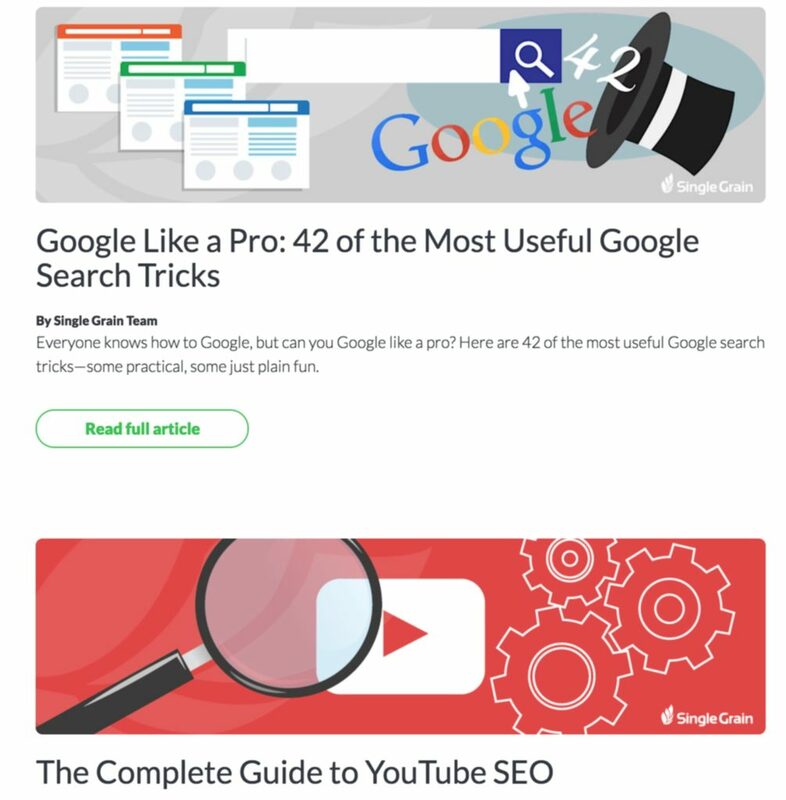 These guides have helped Neil attract hundreds of links to his blog, which help him acquire lots of organic traffic, but also position himself as an expert in the online marketing world. This goes without saying, however, that these videos, just like blog posts, should be informative, engaging and high quality. 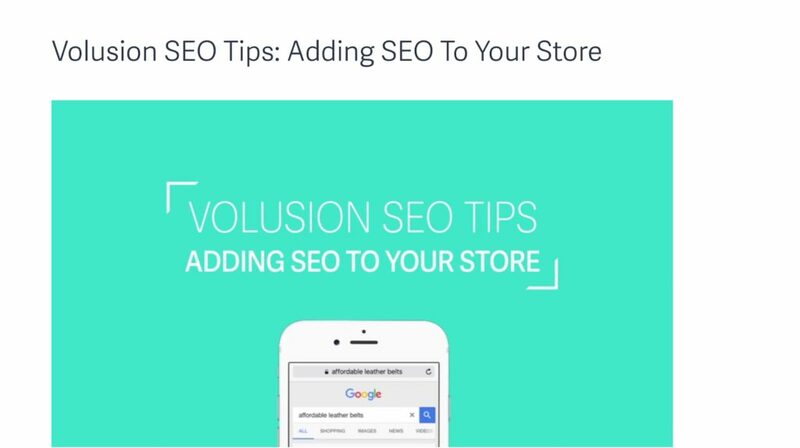 Volusion, an e-commerce platform, has used videos to attract and inform their audience about common e-commerce problems, like how to add SEO to a store, how to do keyword research, and so on. This helps their visitors, primarily e-commerce store owners, solve common problems relating to optimizing their e-tail platforms. The key to a successful infographic isn’t just to make nice graphics and use cute colors; it’s pairing useful data with relevant graphics that make the data more palatable and easier to absorb. Also, they must mention the sources where they take their data from, which adds authority to the infographic (or any piece of content with facts and figures). 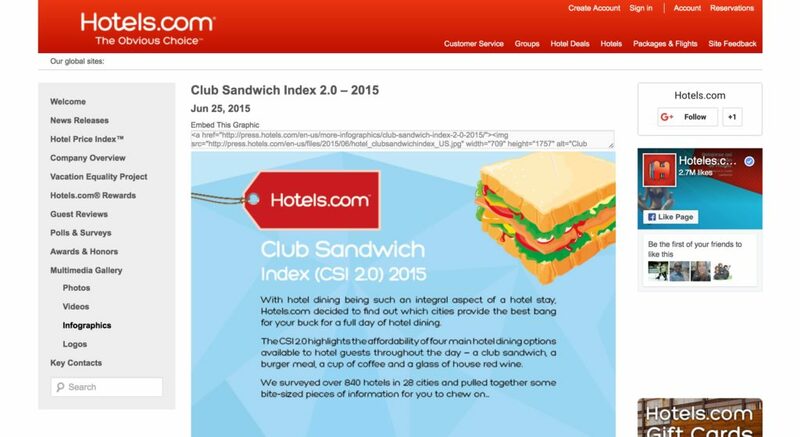 Hotels.com has been able to use infographics to entertain and inform their audience about traveling. From “Marijuana Tourism,” to “Club Sandwich Index,” to “Know Your Stars,” they have covered a lot of interesting topics in a unique way within their saturated industry. E-books can help your brand extend the customer relationship from the previous step by providing lots of value to the people who are researching solutions to their problem. What’s more, e-books allow companies to get the buyer’s e-mail address, which helps them continue building the relationship in yet another medium, which is famous for having an amazing ROI. 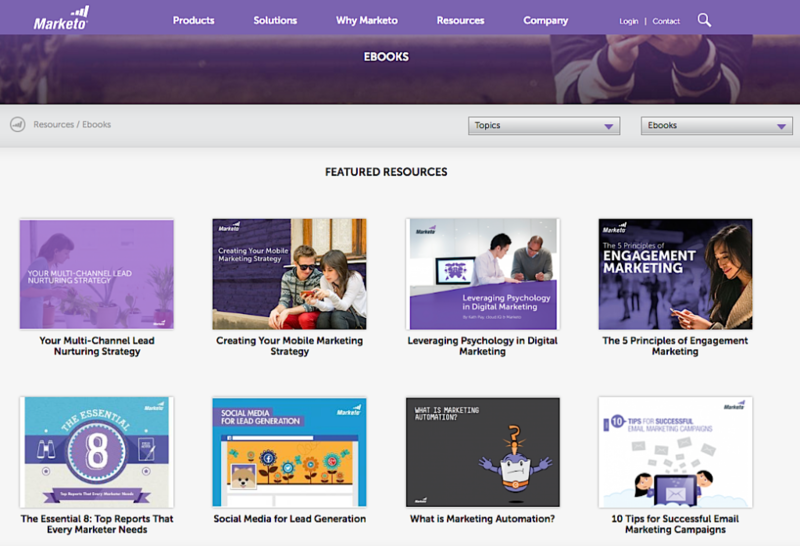 Marketo has created dozens of e-books to teach their audience about the different aspects of the online marketing world. They have written books about all kind of topics, from lead scoring, to social media, to mobile marketing. 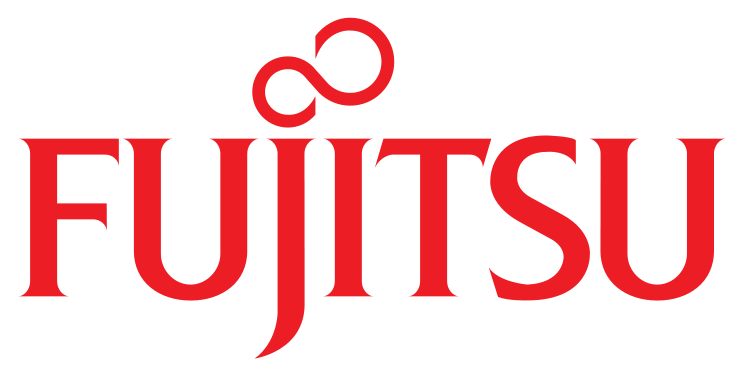 This helps Marketo continue fostering the relationship that started on their blog (which is also highly useful) while making their potential customers aware of their software. White papers are similar to e-books in the sense that they are both digital books, but differ in their depth and tone. Like e-books, white papers are focused on a specific topic, but with a narrower focus, more academic tone, and more heavily research-based. For this reason, they take longer to create and cater on a high-level audience (that is, executives and other top-level decision makers). 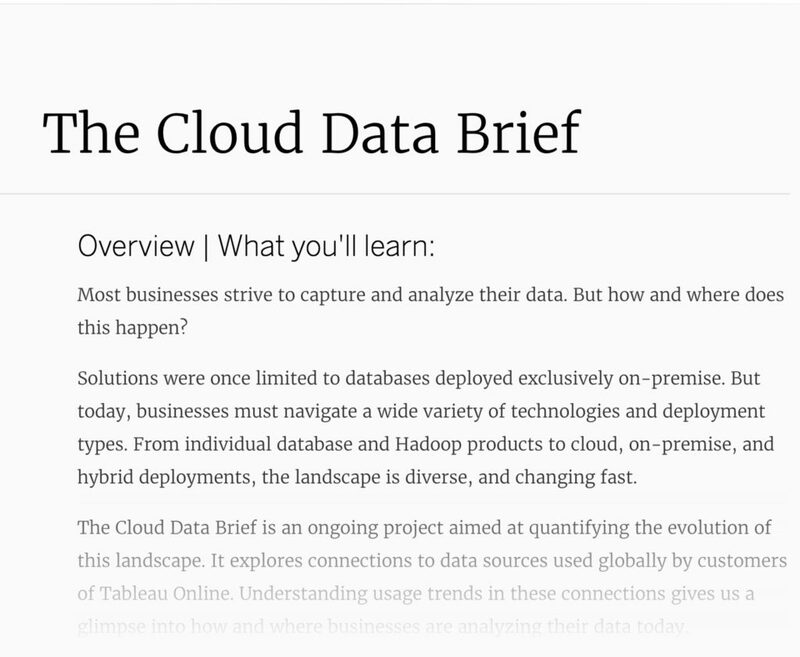 Tableau, a business intelligence and analytics company, uses white papers to attract executives to learn more about their industry. This not only shows that Tableau is an authoritative company in their industry, but also helps executives see where Tableau fits into their needs. Webinars are a more intimate way to connect with a buyer while providing massive value. According to Ascend 2, of all the lead generation tactics available, webinars are the second most effective type of premium content for marketers. Webinars consist of 45- to 90-minute calls where a speaker or group of speakers talk about a specific topic, sharing insights, trends, and solutions to a given problem. Also, attendees can interact with the speakers, which makes the webinar more effective. There are many companies that like to provide a special offer to their attendees before finishing the webinar, which usually includes a discount for their service or product. This makes sense given that webinars can “warm” people up and allow them to interact, making them more likely to convert. However, this doesn’t necessarily make sense for every company, so this must be done with care. 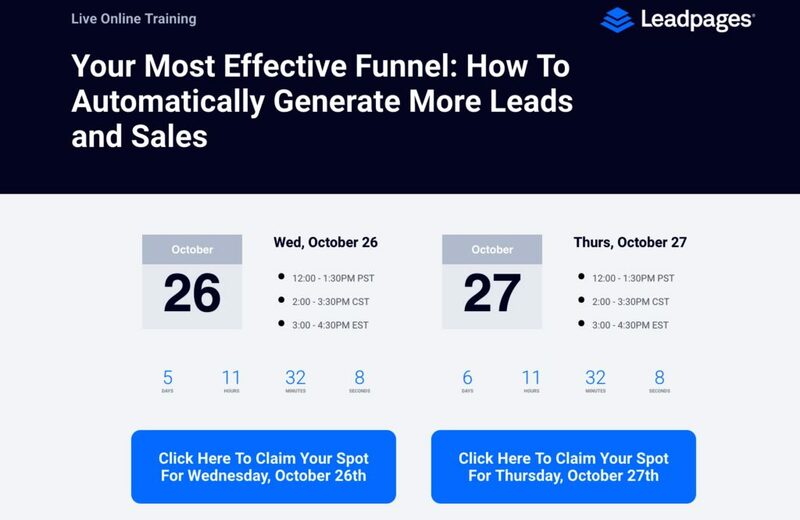 LeadPages is a company that makes good use of webinars to attract and convert its attendees into customers. Their webinars are very informative, but always end up tying the webinar’s topic to one of their offers. Since the offer is unique and high quality, this would have a good conversion rate and a good ROI. Demo videos work like tours: a sales rep or a presenter shows a buyer how the software or product works, what it can do for them, and how it can solve their problems. There are two types of demo videos: live and recorded. The live demo videos have a unique power which recorded ones don’t — the demonstration is done in front of the buyer’s eyes and makes them feel as if they are using the product or tool themselves. Live demo videos are like a powerful 1-2 sales combo. Recorded demo videos also work, although not as effectively as the live ones. 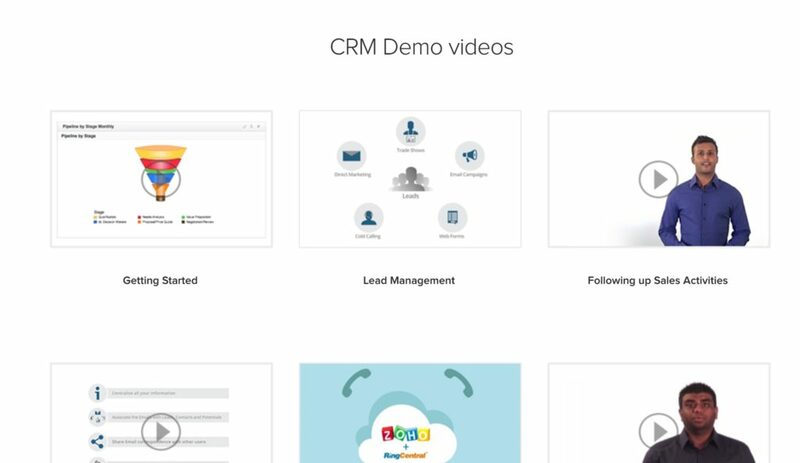 Zoho CRM has a library packed with demo videos of how their tool works. These videos show all the different aspects of Zoho CRM tool, which help dissipate many of the buyer’s questions. 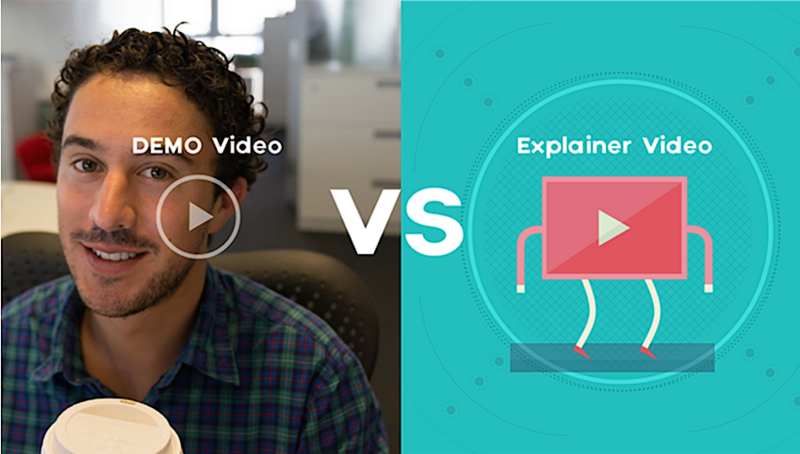 Explainer videos are similar in that they’re meant to explain something. They tend to be short, entertaining and informative. While demo videos tend to feature a company CEO who is demonstrating how their product benefits the customer, explainer videos are usually animated shorts (just a couple minutes long) that can be more like a how-to demonstration. Comparisons help buyers weigh the pros and cons of a product’s features and prices and help them measure which one would better suit their needs and problems. For those companies that offer complex solutions, this can have a big impact on the buyer’s decision. 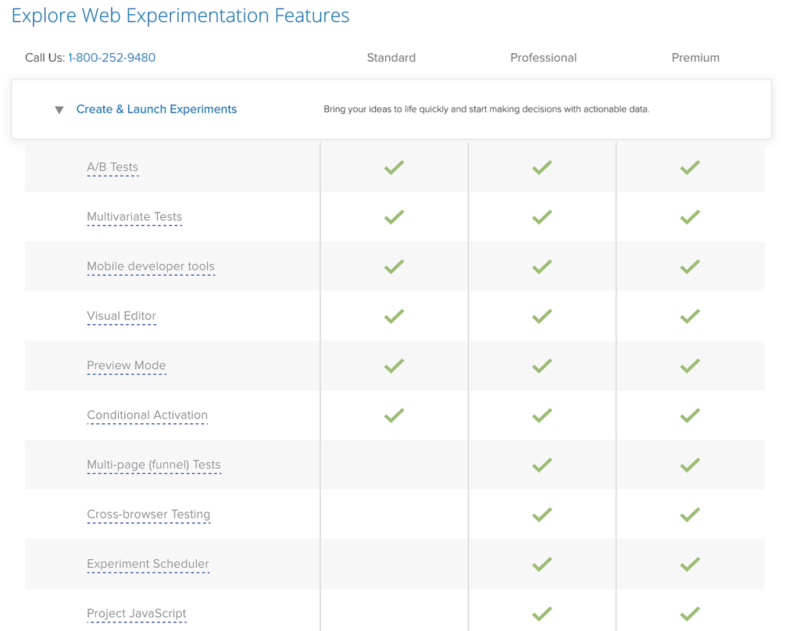 Optimizely does a great job at showing the differences between their plans on their pricing page. There is another type of comparison, in which a company compares their features with those of a competitor. This can be very powerful, especially in saturated industries. Agile CRM does this pretty well by comparing what they offer with what their competitors offer, including Zoho CRM. Klaviyo, an e-mail marketing provider, does a great job by showing a benefit-driven testimonial from one of their customers on their homepage. 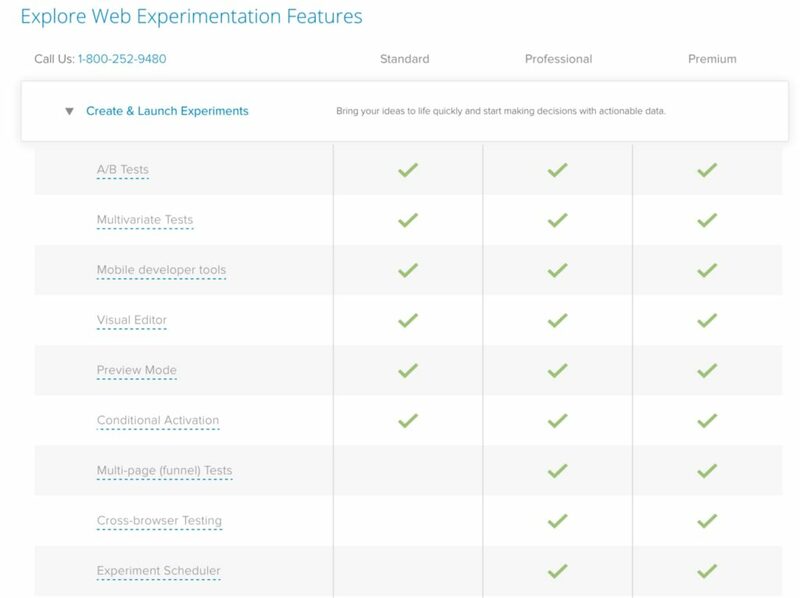 Also, they have a section full of case studies that show how many of their customers have used their tool, and include the great results they have gotten. The buyer’s journey is a key element in any company’s marketing strategy. 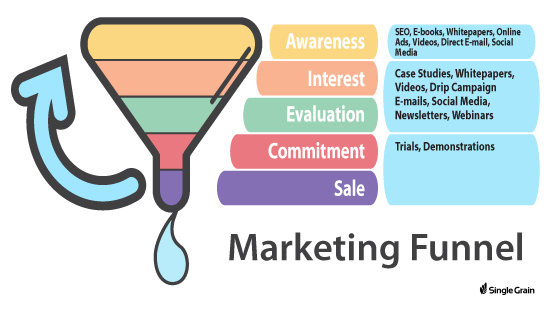 By matching each customer’s needs and problems with exactly the right type of content along the stages of the sales funnel, this will improve the effectiveness of your content marketing. Have you used a buyer’s journey to develop your content strategy? Share your thoughts in the comments below!